November in Arizona means beautiful weather! It's finally cooled down enough for being outside in the sunshine to be enjoyable. Take advantage of the cool weather, get some exercise, and decrease your carbon footprint all at the same time by walking, biking, or taking public transit to work and/or school this month. Whether it's going for a hike or taking the bus, let us know how you are getting outside this month by using the hashtag #sustychallenge2018 on Facebook, Twitter, and Instagram or commenting below. 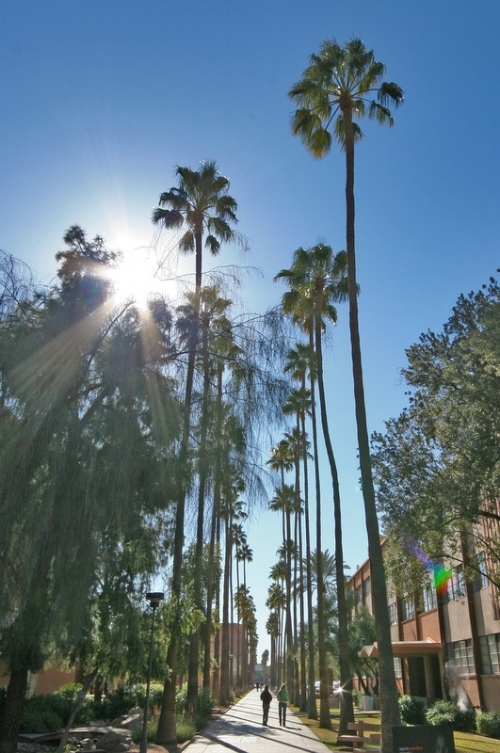 Arizona State University's campus is a beautiful place to take a walk outside. Check it out this month for today's challenge.